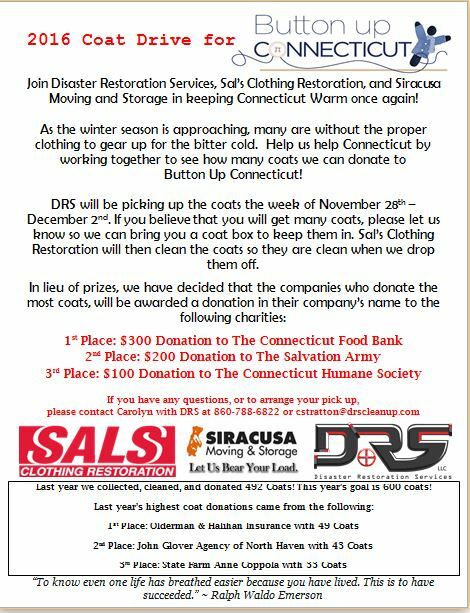 2016 Coat Drive for Button Up Connecticut is Coming to a Close - Disaster Restoration Services, LLC. Our 2016 Coat Drive is coming to a close this week. 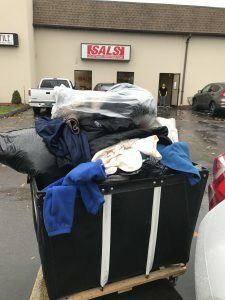 Please reach out to cstratton@drscleanup.com or call 877-280-7961 if you have any unused or old coats that you no longer need. As of today, Wednesday, November 30th, we are at a total of 197 Coats and we still have more to pick up!